✔PURE HIGH STRENGTH. 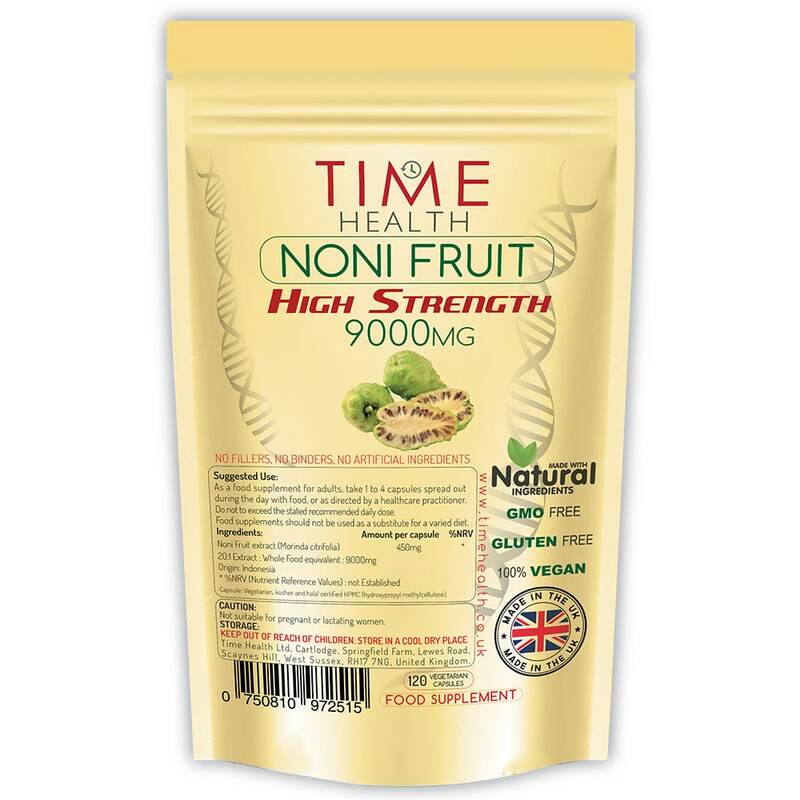 Our Indonesian Noni fruit extract powder is high strength at 20:1 meaning you get maximum benefit. ✔BOOST YOUR HEALTH. 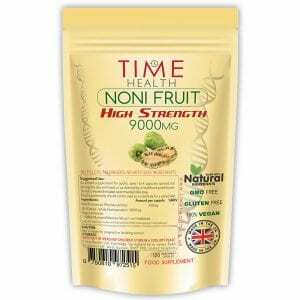 Time Health Noni powder provides a number of benefits including support of the immune system, cellular repair and anti-inflammation. As a food supplement for adults, take 1-4 capsules spread out during the day with food, or as directed by a healthcare practitioner. Do not exceed the stated recommended daily dose. The Noni fruit or Morinda Citrifolia grows natively across Southeast Asia and Australasia and is widely known for its pungent smell. Historically, it is thought to have been used as a tonic in Polynesian culture, more recently, interest and demand for noni has surged as awareness of its health benefits increases. Noni provides a number of benefits including support of the immune system, anti-inflammatory properties among others. Fast delivery Already helping with hay fever. Excellent service. Easy to use site. Extremely fast delivery.